Like Pecan Pies? I do and I’ve been working on a way to make one that doesn’t involve using corn syrup. It’s taken a few years to perfect this recipe. The family Thanksgiving dinner each year is about the only time I make one, so the testing and revision cycle is a bit extended. I should also explain that the reason I want to avoid corn syrup is primarily for the taste. I loathe the stuff and always have. I’ve avoided it for years, even before research began to show that HFCS was bad for you. I’m by no means claiming that this pecan pie is healthy – it still contains massive amounts of sugar. So bake and eat at your own risk. In place of corn syrup, I’ve used another type of invert sugar – cane syrup. I get this at the local farmers market but it should also be available in most grocery stores that carry organic products. Because one of my goals was to avoid the super-sweet machine-made flavor of corn syrup, I’ve opted to combine the cane syrup with a small amount of molasses. Molasses is actually the waste product of producing cane syrup and other refined cane sugars; all the vitamins, minerals, and taste ends up in the molasses while most of the pure sugar ends up in the syrup. By putting a little molasses in, you get a much darker, more complex taste. The exact ratio of cane syrup to molasses is something you’ll want to adjust to your own taste. The Rum and brown sugar were chosen for the same reasons, they add a bit more complexity to the taste. You can also change the sweetness a bit by adjusting the ratio of pecans to filling. For a sweeter pie reduce the number of pecans to a single layer on the surface. To decrease the sweetness, increase the number of pecans so that about half the thickness of the pie is pecans. Also, one note on the Cinnamon is due; I’m using true cinnamon, aka Ceylon cinnamon. If you’re using grocery store Cinnamon (actually called Cassia), then you’ll probably want to use only 1 teaspoon or leave it out altogether. The tastes are quite different. If you’re not sure which you have, you have Cassia, it’s the substance most commonly sold as “cinnamon” in grocery stores. And if you’ve never tasted true cinnamon, I highly recommend buying some and trying it out. Ok, so on to the actual recipe. Bring pan of water to boil. Blanch pecans in boiling water for 1 minute. Oils that lead to bitter pecans will form a dark scum on surface of water. Remove pecans and rinse well. Toast pecans at 350 F for 10-15 minutes. Combine two pie shells for double thickness to help offset sweetness of pie. If you’d prefer, you can also make your own crust. This is left as an exercise for the reader. Combine the syrup, brown sugar, melted butter, rum, salt, vanilla, cinnamon, and molasses in a large sauce pan. Heat to boiling point, stirring constantly. Boil for 1 minute. Remove from heat and let cool. While syrup cools, beat eggs in a separate bowl until creamy. When the syrup has cooled below boiling, stir in the beaten eggs and broken pecans. Pour mixture into pie shell, add pecan halves on top by hand. Add aluminium foil to cover exposed pie crust around edge. Bake for about 50 to 55 minutes. The pie is done when the top layer forms a deep golden brown crust that is firm when tapped. Aluminium foil may be removed during last 15 minutes for a more well done crust edge. You heard that right, roboticists and AI researchers have risen to second place when it comes to who we think of when the topic is apocalyptic theology. And with fundamentalists blowing two more apocalyptic predictions since the book was published, who knows, we may be number 1 now. But how can robots and AI be theology? 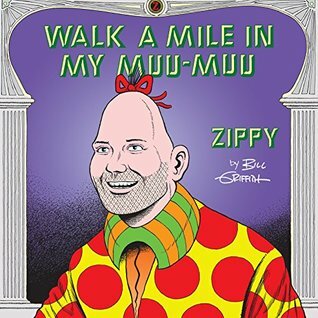 Read on for a full review of Geraci’s book. If you’ve been reading Robots.net for a few years, you may remember the Robots and Religion survey we posted about in late 2007. The survey was created by Robert M Geraci, who was an assistant professor of religion at Manhattan College and a visiting researcher at CMU at the time. The survey generated a lot of discussion and interest among our readers. Robert was conducting the survey to gather information for a book – this book! 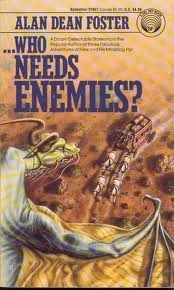 Apocalyptic AI came out in 2010 and has been working its way up my book review queue since then. I finally got a chance to read it recently. It’s an interesting book and definitely worth reading. And it’s cool to read a book that so many of our readers helped make possible (there’s even a small note in the book thanking robots.net readers for your participation). In addition to talking to robot builders here, Robert also did ethnographic research inside the virtual worlds of Second Life and World of Warcraft. And he spent a good deal of time talking to leading researchers in AI and Robotics. Religion abounds with apocalyptic theology. People love that sort of thing. A lot. So much so that it creeps into areas of our life that you wouldn’t expect. Robert Geraci noticed that popular books on AI and robotics were espousing what amounted to a thinly veiled copy of Jewish/Christian apocalyptic theology. I’ll assume not all robot builders are up on their theology, so what is apocalypticism? It’s the belief that we live in a world of good and evil; that humans are a mix of both, leading to some type of alienation and the need to be “purified”; that a catastrophic event is coming within our lifetime that will destroy the world as we currently understand it, destroying the evil components of some or all humans, leaving the purified good humans to transcend into a new existence of eternal happiness. The study of this coming apocalypse and purification is called Eschatology. Even if you’re not religious, you’re probably thinking I’ve just described the plot of many a science fiction story. The idea of an apocalypse is one of the ideas that Carl Jung called an archetype and Joseph Campbell identified as universal in the myths and stories of the world. What Geraci realized is that this theme has cropped up in the best selling pop science writings of robotics and AI visionaries like Ray Kurzweil, Hans Moravec, Kevin Warwick, and Hugo de Garis. These people have helped shape an apocalyptic theology. First there’s the dualism of good and evil. In apocalyptic AI, Geraci sums up good and evil this way: “On one side stand mind, machine, and virtual reality. 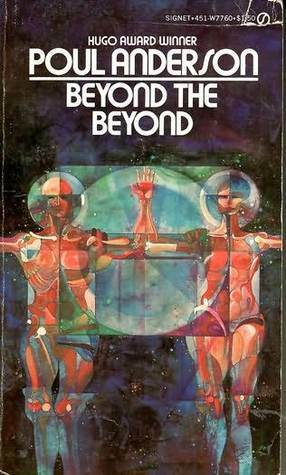 On the other stand body, biology, and the physical world”. It’s the evil of our imperfect biological bodies that prevent our minds from achieving what they could. The physical world we live in limits our lifetime. Our bodies become frail, old, sick, and eventually we die. In order to achieve what we desire, the apocalyptic writers say, humans must somehow purify themselves, shedding their biological, physical contamination and merge with machines that will remove the limitations of slow thinking, sickness, and death. How will this come about? Through an apocalypse that’s coming in our lifetime known as the Technological Singularity. Initially it will heal damage bodies with prosthetics and extend our physical lives. Eventually the singularity will give eternal life and in some cases even raise our dead to be with us again. Eventually it will destroy the world as we know it and set our minds free as we ascend into a mind-machine existence that transcends physical reality. While apocalyptic theology occurs in nearly ever religion, Geraci goes into detail primarily on Jewish and Christian versions of the apocalypse, presumably because those will be the most familiar to readers in the Western World. He talks about the cultural and social issues that made apocalyptic theology attractive at the time in history when each group adopted an apocalyptic world view. He identifies similar social forces at work in today’s world influencing the Apocalyptic AI trend. 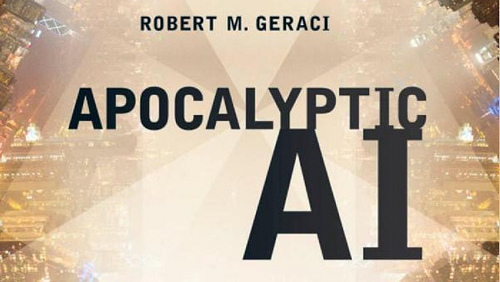 Geraci describes a bit of Apocalyptic AI history, tracing its origin to science fiction, but his real quest is to find out what impact apocalyptic AI theology is having out in the real world. It’s not his goal to prove Apocalyptic AI theology as true or false, merely to understand where it came from and what effect it’s having. In particular he notes how readily accepted it is by those already involved in precursors to virtual reality – what we know as MMORPGs. He cites studies in which a surprising number of participants in Second Life and World of Warcraft would choose to upload their minds into their chosen virtual world and discard their physical bodies today if it were possible. The widespread dissemination of Apocalyptic AI theology has increased awareness of the importance of AI and robotics research, increased funding for research, and given higher social status to the authors of apocalyptic pop science books. But beyond those immediate effects, Apocalyptic AI has led to philosophical, legal, and theological dialogs at every level of our society. From debates in online discussion forums, to debates about international treaties concerning AI and robotics research, Apocalyptic AI has brought the importance of dealing with the results of robotics research to the top of everyone’s list. To the extent that robotics and AI research appears to be proceeding along the path predicted by Apocalyptic AI theology, the subject is perceived as more important to address quickly. If the Technological Singularity or other aspects of Apocalyptic AI turn out to be unlikely, as many believe may be the case, its importance may diminish. Geraci also describes some of the response to the integration of religion and technology that Apocalyptic AI represents. 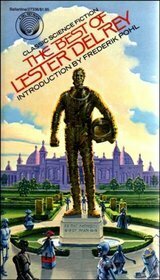 Some see it as harmless or no more important that the presence of apocalyptic ideas in science fiction. Others see it as extremely dangerous. The recent recasting of Biblical creationism as “Intelligent Design” is given as one of the most effective examples of trying to mix religion with technology, resulting in something that is “almost certainly poor science and misguided theology”. It’s speculated that Apocalyptic AI could lead to cultural controversy on par with that of Intelligent Design with school boards pressured to insert curriculum asserting the soullessness of machines. Along the way Geraci explores a variety of amazingly interesting intersections between religion and robotics. He mentions many topics we’ve covered here on robots.net including the likeliness that intelligent, conscious robots would adopt religions views, the legal and ethical ramifications of conscious machines, even strange trivia: did you know some Christians believe progress in AI is what will trigger the Christian apocalypse? 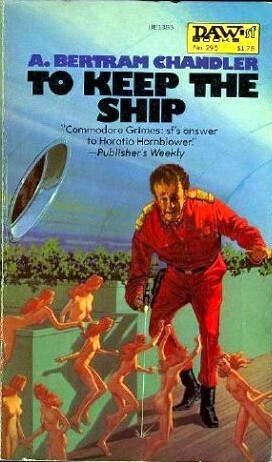 did you know some early Golem stories parallel modern science fiction accounts in which a newly created AI runs amok? Be sure to the read the extensive notes section at the back of the book, it’s almost as entertaining as the book itself! 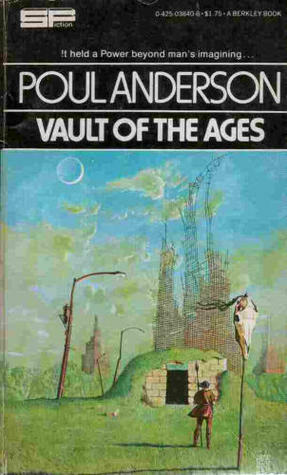 There are also two appendices, the first gives a brief history of robotics, the second is on the uneasy relationship between robot builders and researchers who largely seek to build peaceful robots and the primary funder of robot research, the US Government, who primarily seeks to build robots for military purposes. Is the Singularity likely or just wishful thinking? Will we ever be able to build machines that are conscious? Will we ever be able to upload our minds into machines or live in eternal robot bodies or virtual realities? Transhumanism, augementationism, technism, immersionism, cybernetic totalism; is any of this good or bad? In the end it’s left to the reader to decide. Geraci is only the messenger. I finished reading “The Art Instinct: Beauty, Pleasure, and Human Evolution“ by the late Denis Dutton a while back and it’s about time I write a short review. Actually, I read it aloud to Susan. In addition to our own personal reading lists, we usually have a shared book that I read aloud when we’re on long drives or working on some project around the house. We alternate between fiction and non-fiction. Susan selected the Art Instinct because it covered topics we’re both interested in: art, evolution, aesthetics, anthropology, the human brain, to name a few. The title is most likely having a bit of fun with Steven Pinker’s 1994 book, The Language Instinct, which examines how the brain evolved an innate capacity for language (also a great book by the way, did I ever write a review of that one? Hmmmm). Dutton’s book uses a similar model. He argues that our sense of aesthetics is not just an arbitrary social construct as presumed by many art critics and academics. He leads into his arguments by attempting to answer the question of why landscapes depicted in calendar art are so uniform – in every country, in every climate, everywhere in the world. A well-known 1992 study sought to explain why humans find one particular type of landscape more beautiful and appealing than all others. 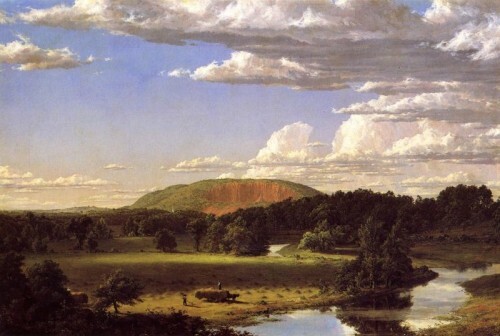 We favor this type of landscape whether it occurs in calendar art, golf courses, public parks, or classic paintings. Americans favor it, as do Europeans, Inuits, Russians, even members of the most remote and primitive tribes who may never have seen this type of landscape before. The landscape we favor happens to be identical to the Pleistocene savanna of the type that occurs in Africa. Evolving hominid hunter-gathers who favored this type of savanna had much higher chances of survival. It’s a landscape with direct evidence of game animals, variegated cloud patterns, evidence of water, low forking fruit-bearing trees (food sources and easily climbable to escape predators), alternating open and wooded spaces. If you’ve never read it, the original study is: Evolved Responses to Landscapes by Gordon H. Orians and Judith H. Heerwagen. Frederic Church landscape with elements we’ve evolved to find attractive. After going over the various non-evolutionary explanations and why they were found wanting, he moves on to similar cases of direct evidence of evolution shaping our aesthetic tastes. Can evolution explain, for example, why blue, the color of the sky and water is the most common favorite color? Green, the color of plant life, is our second most commonly expressed favorite color. Our desire to see blue and green came to mind as I was writing because I’d just returned from an exhibit of paintings by Cathey Miller. 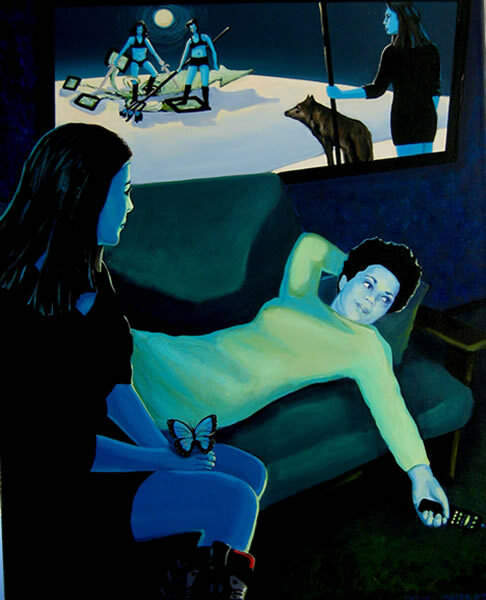 She paints residents of the mythical Cathedonia in luminescent shades of blue or green. Somehow, I find a sort of perverse pleasure in knowing that the part of my brain which finds Cathedonia paintings appealing evolved to help my Pleistocene ancestors survive. The tricky part is getting from the easy cases like agreement on colors and landscape to a more general description of beauty and aesthetic taste. It’s hard to look for the origin of a thing until you can agree on what the thing is. So, a large part of the book is involved in trying to precisely define art. Much time is spent on edge cases that are controversial – is Duchamp’s Fountain art? Are other readymades art? Why are expertly made forgeries not respected as much as expertly made originals? What about people who insist this or that category of art isn’t really art (e.g. abstract art, rap music, photography, etc). Once he’s established a working definition or art, he goes after the problem of understanding how an innate sense of beauty could have evolved. He examines what we know about our evolutionary history to see if we can discover ways in which an innate art instinct would have direct survival value or if it could be an adaptive effect of some other survival characteristic that natural selection would have favored. Alternately, he looks at whether the art instinct is a result or adaptation of the other major evolutionary mechanism, sexual selection; like the Peacock’s tail – a case where sexual selection trumps natural selection. A bright tail actually has a negative survival value but serves as a fitness signal to the females (“hey, look, I’m so awesome at this survival game, even this flashy tail isn’t a problem. Mate with me!”). Contrary to what art academics have argued for years, that art is culture-specific, Dutton presents world and history ranging emprical evidence that human appreciation for beautify is innate and occurs everywhere and at every time humans exist. To put it another way, Dutton’s revolutionary argument is that beauty is not “in the eye of the beholder” as folk wisdom claims but is rather part of the core workings of every human brain that evolved over millions of years. What makes Dutton’s effort interesting (to me at least) is that it’s not just some random guy’s opinion, it’s an attempt to find an empirical, objective way to think about beauty and art; something that is not easily done. His efforts stop short of providing definitive proof that the evolution of our aesthetic sense followed the path he describes but he makes a convincing case. In February of 2010, Denis Dutton summarized the book in a 15 minute TED talk. The book offers enormously more detail, fascinating anecdotes, and mountains of evidence collected around the world and throughout history. But if you’d like a quick overview of what his book is all about, you can’t beat this TED talk.